Damaged cutting edges and broken tips are not reasons to discard much-loved knives. 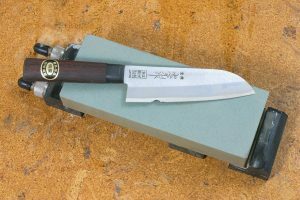 Finely ground, very hard Japa-nese knives in particular can suffer an occasional nick when handled roughly. Place the blade perpendicular to the stone and grind the entire length of the cutting edge down to the damaged spot. 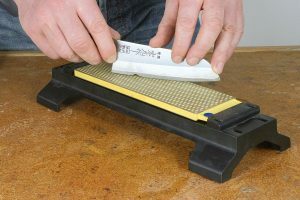 The bevel can now be ground onto each side of the blade in the desired angle using coarse-grit followed by fine-grit stones. Thereafter, follow the guidelines provided in “sharpening with bench stones“. 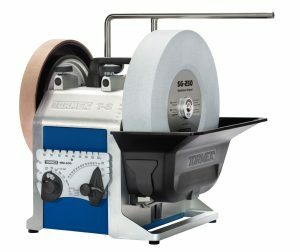 Protect yourself from injury, especially when working with damaged knives or when using sharpening machines. 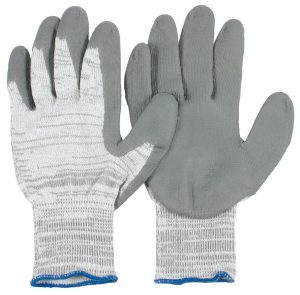 We recommend ProHands cut resistant gloves (No. 707650). 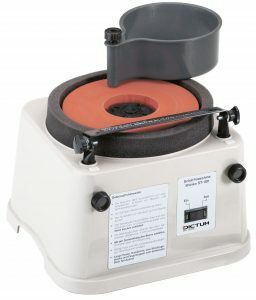 To achieve the required high level of abrasion, use a coarse stone (220 grit or 400 grit), a coarse diamond block or a water-cooled grinder, e.g. Tormek T-8 (No. 716034) or Shinko (No. 716020).